Part of my effort to embark on more off-road adventures is to properly equip my bike. The other part is to increase my skills. My first step was to purchase Dual Sport Riding Techniques on DVD from my friends at Aerostich. This video packs a lot of information in a very compact format (30 minutes), so it requires watching several times. 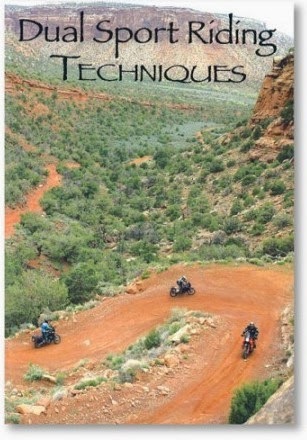 It begins with a series of drills teaching the rider how to maneuver their adventure bike at slow speed. This sounds far simpler than it is. After watching the video a few times, I headed out to a friend’s house to practice. The property I used is covered with grass and has several trees and small bumps that made an outstanding obstacle course. By putting weight on the outside peg and using my legs to support my body weight, I was able to take pressure off my throttle hand. This was important to maintain even speed in slow, tight turns. I quickly realized I can turn left much easier than I can turn right, so I focused on that skill by doing loops around and around trees in smaller radius circles. Once I felt I had a handle on that, I began doing figure 8’s as well as riding up a small slope, then making a tight turn at the top and going back down again. Graduating yet again, I moved to the other side of the property where I roamed around fir trees and a small orchard, over bumps and roots. It wasn’t fast; the whole point was slow control. I challenged myself to making tighter turns, and was rewarded with being able to go anywhere I wanted through the trees. By the time I got home, I was wiped out. I was no doubt tense because of the unfamiliarity of the process, and I’m sure I’ll be able to relax more as I practice. But after just a 45 minute practice session, I could tell that my skills had noticeably improved. I look forward to more practice sessions in the near future. My next step is to get wider foot pegs and install Heidenau K60 50/50 tires. 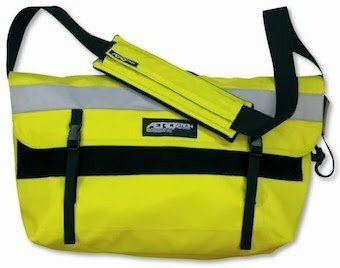 Special Note: After a quick email to Touratech USA’s office in Seattle, they said I would not be able to keep my Givi top case once I installed my Touratech side racks. Fortunately, they were wrong. 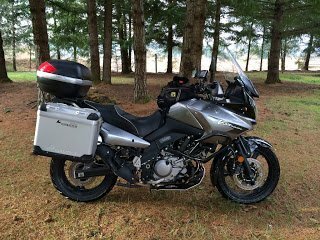 I had to remove the top rack in order to mount the side racks, but once they were in place, I was easily able to put the Givi top rack back on. 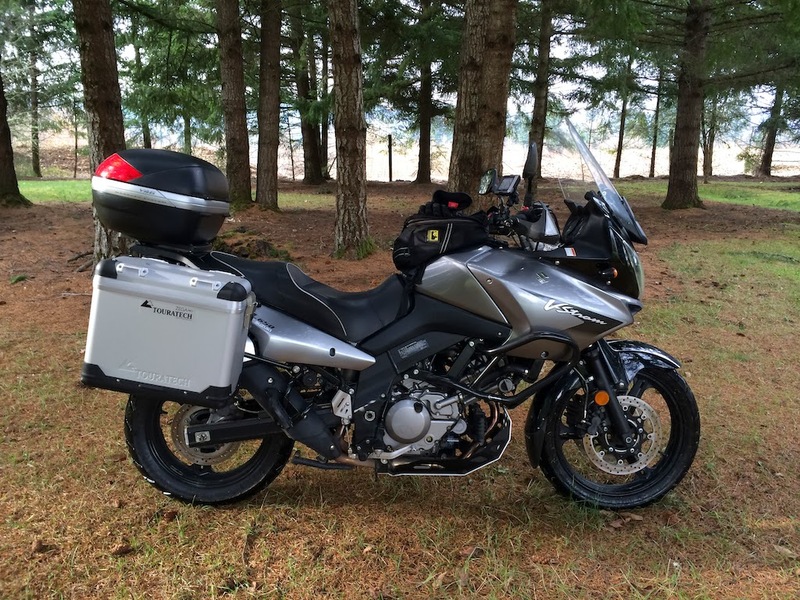 This means I can have a hybrid luggage system mounted on my 2007 Suzuki V-Strom 650. I like my Givi V46 top case and was very happy to keep it.